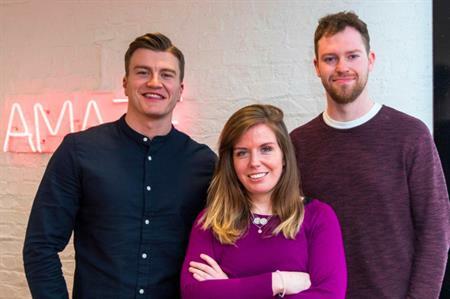 Irish agency brings in account managers and junior designer to bolster the activations team. Grooveyard has recently expanded its workforce to 23 employees by hiring three new team members. The new recruits are senior account manager Paula Doherty, account manager Jonjo Nolan and junior designer Matthew Schutz. Grooveyard MD James Gavin said: "We operate under the philosophy that we are only as good as our people, so after a very careful and thorough recruitment drive we are delighted to welcome our three newest team members with their unique talents and experience to help meet our current demands." Doherty has worked in the industry for the last nine years. Before joining Grooveyard, which has offices in Dublin and Galway, she worked for a number of agencies and managed brands in the automotive, health, education and alcohol industries. Nolan joins the team as an account manager, having previously overseen successful award ceremonies, industry conferences, and team building events for brands such as Energia, Indeed, and Google. Schutz joins the in-house studio team to assist with technology integration. He has extensive graphic design experience and a passion for integrating digital technologies into events.